Listening to this new album by the Finnish band Khatsaturjan took me back to the 70s and mid-period Genesis. Aramed Forces of Simantipak is a rock symphony lasting almost 70 minutes. Though I am not exactly certain what it is about since the liner notes only provide the lyrics and not a story line. 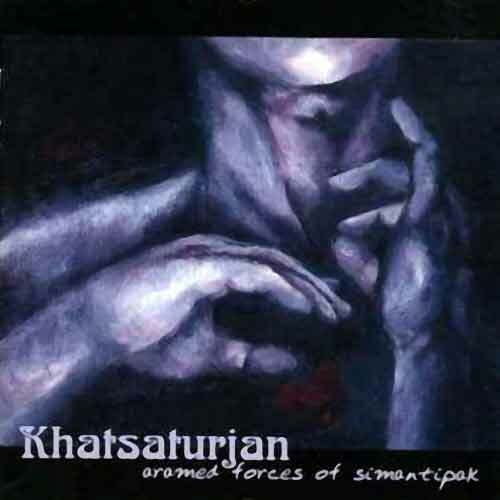 Khatsaturjan blends progressive rock with classical music in the best tradition of the prog pioneers. They even quote Handel’s “Sarabande” in one of their songs. However, the music is a bit sterile, lacking the warmth the music demands. All four band members sing, play keyboards, and an additional instrument (bass, guitar, drums, and cello). The orchestration and vocal harmonies, for the most part, are executed perfectly. In fact the harmonies conjure images of Queen. However, there times as the music fades at the end of a track where it is stripped bare isolating a single keyboard, which causes the music to lose some of its impact. In addition, the overall quality of the recording is a bit heavy on the treble thereby accentuating the sibilants in the vocals and other high frequencies resulting in tired ears. You can probably fix this problem through judicious use of the bass control to soften the sound a bit. To sum things up, Khatsaturjan is a capable band recreating the progressive rock of the 70s, but not extending it much.